ISUZU NPR/NQR/NRR/GMC W4500, W5500, W3500 engines for sale - 4HE1,4HK1,6HK1, 4BD2, 4JB1 diesel engines. We supply rebuilt and brand new Isuzu NPR engines. We take pride in being the best source for Isuzu NPR engines for sale in United States with the largest inventory of Isuzu 4BD2-T, 4BD1, 4HE1-T, 4HK1-Tc, 6HK1-T, 4JJ1-Tc, 4BG1, 4LE1, 4LE2 & 4JB1 engines for sale. We supply Isuzu engines for Isuzu NPR, NQR, NRR, FTR, FRR, GMC, W3500, W4500, W5500, W6500, W7500 Trucks and Isuzu engines for Hitachi, Case, JCB, Link Belt, Bobcat Heavy Machinery. Our brand new Isuzu engines for Isuzu NPR, NQR, NRR, FTR, FRR, FVR & GMC W4500, W5500, W6500, W7500, W3500 trucks and Hitachi, JCB, Bobcat, Case and Link Belt equipment are built in-house with precision at our state-of-the-art manufacturing plant in Houston. Our Isuzu NPR engines fit most Isuzu & GMC trucks including industrial applications. Most of our Isuzu NPR 4HE1, 4HK1 & 4BD2 engines for sale are 100% brand new with new internal components. This is because Re-manufactured Isuzu 4HE1, 4HK1 & 4BD2 engines are not feasible as timing gears would not fit if cylinder head is machined. The cylinder block can't be honed or bored as Isuzu doesn't sell oversized main & rod bearings making it imperative to use a brand new crankshaft. This means all Isuzu 4HE1, 4HK1, 6HK1, 4BD2T rebuilt engines for Isuzu trucks will fail without new crankshaft and new cylinder head. These are the reasons which render a rebuilt Isuzu NPR engine useless and waste of investment. Therefore our brand new Isuzu NPR engines serve as the best option when you need an engine for Isuzu NPR, NQR, NRR, GMC W3500, GMC W4500, GMC W5500 trucks. 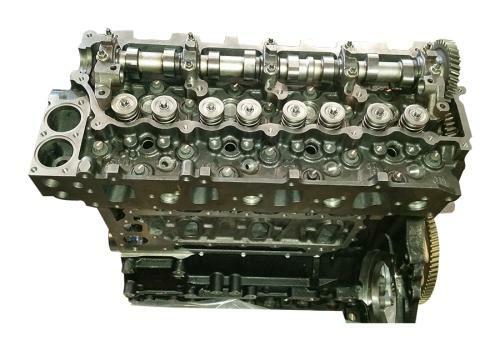 Our Isuzu engines are built with 100% brand new Cylinder head, cylinder block, connecting rods,crankshaft, pistons, liners, bearings, camshaft, valves, valve springs etc. We don't recommend buying used Isuzu NPR engines or Re-manufactured Isuzu NPR engines. Isuzu engines fit numerous industrial applications for example Isuzu 4HK1-Tc is found in Hitachi, Case & Linkbelt excavators, Isuzu 4JB1 Turbo & Non Turbo version is found in Bobcat & ASV skid steers and generators. This website provides a platform to display all Isuzu engines we carry for truck and industrial applications. Isuzu medium duty trucks called as Isuzu ELF & Isuzu Forward in Japan are gaining market share in United States. Isuzu commercial Trucks have been in the U.S market for over 25 years. These Low-Cab trucks have beenbest selling trucks in theU.S since 1986. GMC W4500, W5500, W6500 & W7500 trucks look like a true copy of Isuzu truck models and use the same engine as Isuzu NPR. Isuzu ELF trucks are primarily called Isuzu NPR trucks whereas Isuzu Forward is Isuzu FTR, FRR & FVR in USA. We sell Isuzu 4BD2, 4HE1 & 4HK1 engines primarily as Isuzu NPR engines but they also fit Isuzu NQR, NRR & GMC W series. 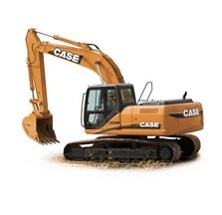 Isuzu 4BD2, 4HE1, 4HK1, 6HK1 & 4JJ1 engines also found in Hitachi, JCB, Case & Linkbelt excavators. Our Japan office has been dealing with Isuzu engines & parts for over three decades. Isuzu Engines are very dependable and economical. Isuzu 4BD2T, 4HE1T, 4HK1T & 4JJ1-TC engines we sell fit Isuzu NPR, NQR, GMC W3500, GMC W4500, GMC W5500, GMC W6500 & Chevy W Series trucks. Isuzu NPR engines are highly sought after but there are very few used engines available in the market. Therefore our new Isuzu NPR engines serve as the most cost-effective option. Our brand new engines for Isuzu NPR are practically zero mileage as all internal components are brand new. All Isuzu NPR engines can also be sold for GMC W4500, W5500 & W6500 trucks. Isuzu 4BD1, 4BD2, 4HE1-TC & 4HK1-TC engines have been our best selling Rebuilt engines for Isuzu NQR, NRR, GMC W3500,W4500, W5500, W6500, W7500 and also Chevy Tiltmaster & Chevy W4, W5, W6 & W7 series trucks. 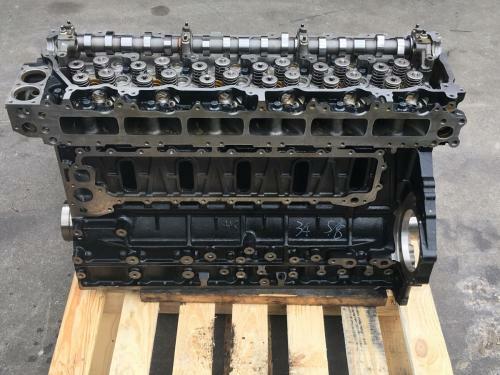 Isuzu 4BD2T 3.9 Ltr engine for 1990-1998 Isuzu Tiltmaster NPR & GMC W3500, W4500, W5500 for sale: Our Isuzu 4BD2 engines are like brand new with new Cylinder head, cylinder block, crankshaft, pistons, liners, valve springs, intake & exhaust valves. We sell Isuzu 4BD2 engines as a bare long block. Isuzu 4BD2 engine that we sell fits 1990-1997 Isuzu NPR, NQR, GMC W3500, GMC W4500, GMC W5500 & Chevy W3, W4 & W5 trucks. Isuzu 4HE1-Tc 4.8ltr 4 cylinder engine for sale : Fits 1999 to 2004 NPR, NQR, NRR, GMC W3500, W4500, W5500 & Chevy W3, W4, W5, W6,W7 Trucks: Isuzu 4HE1 engines we offer for sale are like brand new with New cylinder head, cylinder block, crankshaft, pistons, liners, bearings etc. Isuzu 4HE1 engine for sale will have timing gears and oil pump installed and will be sold as a long block. Buying a used Isuzu 4HE1 engine is not recommended as Isuzu 4HE1 engine is vulnerable to cooling system overheating issues therefore performance of this engine depends on vital external components like injection pump, water pump, oil pump, thermostat, radiator, radiator hoses etc. Since installation cost is likely to supersede cost of a used engine and chances of failure of a used engine within few months are highly likely, is the main reason why purchasing a used 4HE1 could be disastrous. This makes it difficult to judge quality of a used engine. Our Isuzu 4HE1 engine for sale is like a brand new engine. 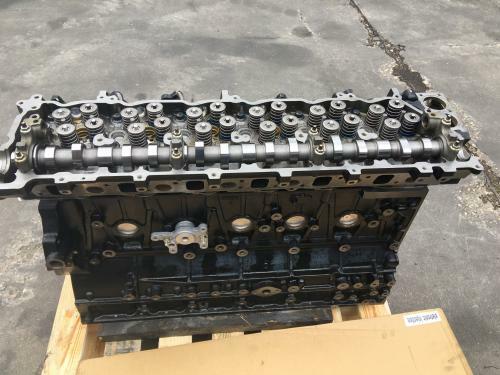 Isuzu 4HK1-Tc 5.2Ltr engine for sale: Isuzu 4HK1 engine that we offer for sale fits 2005 to 2013 Isuzu NPR, NPR HD, NPR XD, NQR, NRR, GMC W3500, W4500, W5500. Isuzu 4HK1 engine is a very versatile engine. 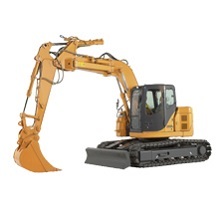 It fits in following excavators: Case excavators CX210B, CX225, CX240B, Hitachi ZX170W-3, ZX190W-3, ZX210LC-3, ZX210W-3, ZX280LC-3, JCB Excavators JZ235, JZ255, JS200, JS220, JS235, JS240, JS260, JS290, JS200W, Linkbelt Excavators 225 Spin Ace Tier III, 160X2, 210X2, 210X2LF, 240X2, 240X2LF. We offer 100% brand new Isuzu 4HK1 engines for sale. 4HK1 engines are sold as a long block with timing gears and oil pump installed. Isuzu 4HK1-TC engines are dependable industrial engines found in construction equipment, generators and commercial trucks. Isuzu 4HK1 engines for Isuzu NPR is different from engine for NKR & NRR so we request our customers to provide vin number while inquiring price quote. Isuzu 4HK1 engines for JCB, Hitachi, Link Belt & Case equipment are different from engines for trucks. 4HK1 engines have different camshaft gears. This makes it important for us to find out what kind of cam gear customer's engine has. All 4HK1 engines that be build for our customers are built according to the appropriate specs based on the Vin number. We also build 4HK1 from scratch according to customer's specs. All we need is the Vin number in order to custom build the 4HK1 engine for a specific truck. 4HK1 engine varies between 190HP@2600 rpm to 215HP@2500rpm. Isuzu 6HK1 7.8ltr V6 engine for sale: Fits Isuzu FRR,FTR,FVR trucks & GMC WT7500, GMC WT5500 & GMC WT6500 trucks. 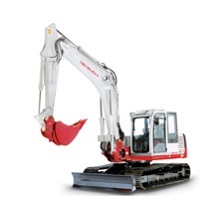 Isuzu 6HK1 also fits in Case, Hitachi, JCB & Link Belt excavators. 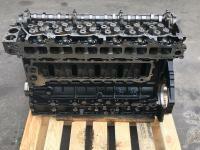 We sell rebuilt Isuzu 6HK1 engines with new cylinder heads, cylinder block, crankshaft, pistons, liners, bearings & gaskets. 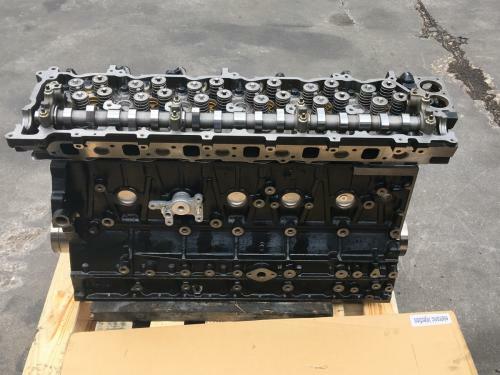 Isuzu 4BG1 4.3 Ltr industrial engine for sale: Fits Hitachi H220, EX100, EX135, ZX110, ZX180, EX120, EX130, EX150, ZX120, AX125, ZX130, ZX135, ZX160, ZX180 excavators, JCB JS150, JS130, JS135, JS165, JS160, JS145 excavators & Kobelco SK100, SK130, SK135, SK115, ED150, SK200, SK120, SK115 & E135 Excavators. 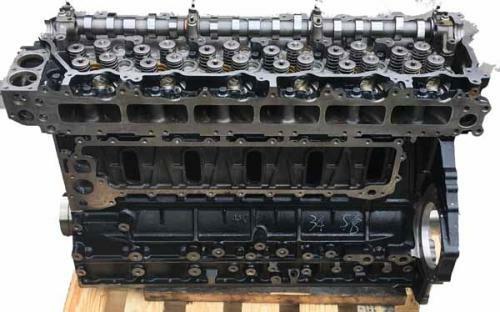 We sell brand new rebuilt Isuzu 4BG1 engine with new cylinder head, cylinder block, crankshaft, camshaft, pistons, liner set, bearings & gaskets. Isuzu 4JJ1-TC 3.0 ltr engine for sale: Isuzu 4JJ1 engine is 150hp turbo charged and intercooled engine that fits Isuzu ECO-MAX NPR, NQR, NRR & NKR trucks from 2008 and above. 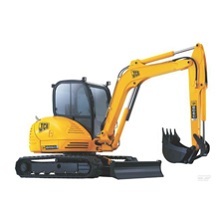 Isuzu 4JJ1-Tc also fits in Case, Hitachi, JCB & Link Belt excavators. We sell Re-manufactured Isuzu 4JJ1 engine which is sold as a long block. Isuzu 6BG1 6.5 ltr engine for sale: Fits 1990-1994 Isuzu FTR, FRR, FSR GMC W5000 & GMC W6000 trucks. We offer rebuilt 6BG1 engine for Isuzu FTR, FRR, FSR, GMC W5000 & GMC W6000 trucks, rebuilt kits & cylinder heads for Isuzu 6BG1. 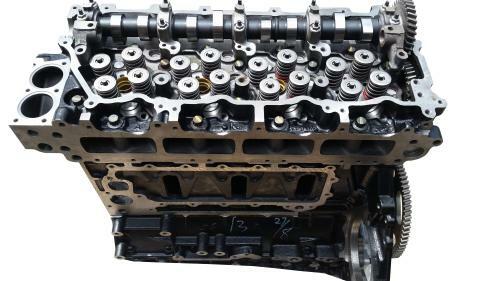 Our rebuilt Isuzu 6BG1 engine is sold as a long block. Isuzu 4JB1 is a 2.8 ltr 4 cylinder direct injection engine for sale: Fits several industrial applications. 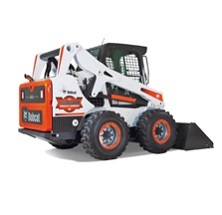 Most Bobcat & ASV skid steers have 4JB1 engine. We offer brand new rebuilt Isuzu 4JB1 engine for Bobcat, Mustang & ASV skid steers. We carry both Turbo & Non-Turbo versions of Isuzu 4JB1 engine for sale. Isuzu 4JB1 also fits Case, JCB, Doorsan & Link Belt excavators. 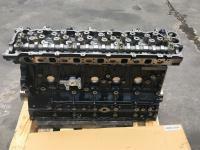 Our Isuzu 4JB1 engine is sold as along block. We do offer complete 4JB1 or 4JB1 Turbo version complete with Turbo & injection pump. Isuzu 4JB1 engine for sale is priced very competitively. In addition to above diesel engines for Isuzu NPR trucks we also offer gasoline V8 6.0 ltr Chevrolet engine that fits Isuzu NPR, NQR, NRR, GMC W4500, GMC W5500 & GMC W3500 for 2004-2007 models. All our Brand new /Rebuilt Isuzu engines for NPR, NQR,GMC Trucks & Chevy " W " Series are thoroughly tested before they are sold. We build our Isuzu engines with New Cylinder Heads, Cylinder block, new pistons, liners,main & rod bearings, thrust washers, bearings, gaskets, camshaft & crankshafts. We also offer brand new radiators and Turbos chargers for all Isuzu & GMC trucks. Our prices for Rebuilt / Brand New Isuzu engines are so affordable that they resemble used engine prices. We also carry whole range of Isuzu NPR parts. We carry Engine Rebuilt kits, Liner sets, Crankshaft Main bearings, Connecting Rod bearings, Pistons, Piston Rings, Crankshafts, Camshafts, Turbos, Transmission parts, Cooling system parts like Radiators, Thermostat, water pump etc. OurRe-manufactured / Brand new Isuzu NPR engines offer better value for money than a used motor as our rebuilt Isuzu NPR engine is very competitively priced and they have all brand newinternal components, new cylinder heads & cylinder blocks. We also carry " Brand New " Isuzu 4JB1 engine that fits Bobcat 843, 853, 543 Skid Steer, Case 9007B Excavator, Hitach EX60UR/URG, Mustang skidsteers and can also be used as a generator. We are a one stop shop for the whole gamut of Isuzu NPR, NQR, GMC W3500, W4500, W5500, W6500, Chevy W3, W4, W5, W6, W7 & tiltmaster truck engines. Our Isuzu 4BD1, 4BD2T, 4HE1-tc, 4HK1-tc, 6HK1 or Brand New Isuzu 4JB1 engines for Bobcat & Mustang skid steer are built to last. Most engine rebuilders in United States believe that they can rebuild these engines using used blocks & heads. They forget that Isuzu cylinder heads can't be machined and blocks can't be bored for oversized pistons because there are no oversized pistons, rings or oversized main & rod bearings available neither Isuzu recommends using oversized piston rings or bearings on these cast iron blocks. We offer the best solution for repacement engine for all Isuzu & GMC trucks because all our engines are assembled with brand new blocks, cylinder heads, crankshaft & all new internal components. Our Isuzu NPR engines are the most dependable engines available in United States. They offer good value for money as they cost about 40% cheaper than new engines available at Isuzu dealers. We urge our customers not to buy used Isuzu engines as that will mean throwing money ! We stock a huge inventory of Isuzu diesel engines for Japanese Isuzu trucks for export to Caribbean markets. We sell Isuzu engines for Isuzu trucks, Hitachi, John Deere and Case for Jamaica, Trinidad & Tobago, Belize, Dominica, Conzumel, Saint Lucia, Saint Croix, Saint Kits, Virgin Islands, Grand Cayman Islands, Honduras, Grenada, Guatemala, El Salvador, Costa Rica, Bahamas, Panama, San Juan & Haiti. We also export Isuzu diesel engines to Canada & Mexico. We export Isuzu 4HK1, 6HK1 & 4LE2 engines for Hitachi, John Deere, JCB, CASE & Link Belt equipment for Canada. This is a Brand New Isuzu 6HK1 engine for Hitachi Excavator ZX330 for sale. 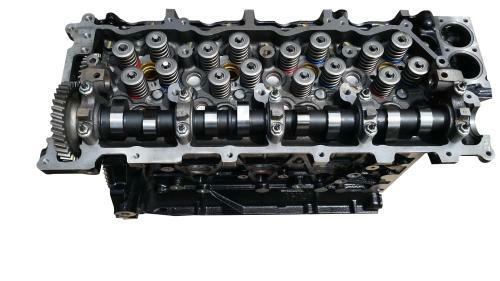 Isuzu 6HK1 engine is built with 100% New components like New cylinder head, cylinder block, crankshaft, camshaft etc. We sell Isuzu 6HK1 New engine for all Hitachi Excavators. Isuzu 6HK1 engine for Hitachi ZX350 excavator for sale. Isuzu 6HK1 engine we seill will fit Hitachi ZX350-3-AMS, ZX350H-3, ZX350H-3F, ZX350H-5G, ZX350K-3, ZX350K-3F, ZX350K-5G, ZX350L-3, ZX350LC-3, ZX350LC-3-HCME, ZX350LC-3F, ZX350LC-3F-HCME, ZX350LC-3FAMS, ZX350LCH-3, ZX350LCH-5G, ZX350LCK-3, ZX350LCK-5G, ZX350LCN-3 excavators. Isuzu 6HK1 7.8 ltr 6 cylinder engine we sell will fit Hitachi ZX330-3, ZX330-3-HCMC-EX, ZX330-3F, ZX330-3F, ZX330-3G-HCMC, ZX330-5G, ZX330LC-3, ZX330LC-3G, ZX330LC-5G, ZX350-3-AMS, ZX350H-3, ZX350H-3F, ZX350H-5G, ZX350K-3, ZX350K-3F, ZX350K-5G, ZX350L-3, ZX350LC-3, ZX350LC-3-HCME, ZX350LC-3F, ZX350LC-3F-HCME, ZX350LC-3FAMS, ZX350LCH-3, ZX350LCH-5G, ZX350LCK-3, ZX350LCK-5G, ZX350LCN-3. Isuzu 6HK1 engine for Hitachi ZX330 excavator for sale. Isuzu 4HK1 engine we sell will fit Hitachi ZX280L-3, ZX280LC-3, ZX280LC-3-HCME, ZX280LCH-3, ZX280LCN-3, ZX280LCN-3FAMS, ZX280LCN-3FHCME ZAXIS excavator. 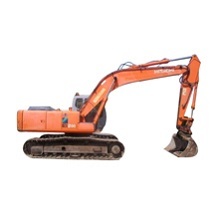 Isuzu 4HK1 engine we sell will fit HItachi ZX270-3 & ZX270LC-3 ZAXIS excavator. Isuzu 4HK1 engine we sell will fit Hitachi ZX250-3-AMS, ZX250H-3, ZX250H-3-HCMC, ZX250H-3F, ZX250K-3, ZX250K-3F, ZX250L-3, ZX250LC-3, ZX250LC-3-HCMC, ZX250LC-3-HCME, ZX250LC-3F-HCME, ZX250LC-3FAMS, ZX250LCH-3, ZX250LCK-3, ZX250LCN-3, ZX250LCN-3FAMS, ZX250LCN-3FHCME, ZX250W-3 ZAXIS Excavator. Isuzu 4HK1 engine we sell will fit Hitachi ZX240-3, ZX240-3-AMS, ZX240-3F, ZX240-3G, ZX240LC-3, ZX240N-3, ZX240N-3-HCME, ZX240N-3F-HCME, ZX240N-3FAMS ZAXIS excavator. Isuzu 4HK1 engine we sell will fit Hitachi ZX220W-3 excavator. Isuzu 4HE1, 4HK1, 4BD2, 4JB1 Engines for Isuzu NPR, NQR, NRR, GMC W4500, W5500, W6500 Trucks, Isuzu 4HK1 engine for Case excavators CX210B, CX225, CX240B, Hitachi Excavators ZX170W-3, ZX190W-3, ZX210LC-3, ZX210W-3, ZX280LC-3, JCB Excavators JZ235, JZ255, JS200, JS220, JS235, JS240, JS260, JS290, JS200W, Linkbelt Excavators 225 Spin Ace Tier III, 160X2, 210X2, 210X2LF, 240X2, 240X2LF, Radiators for Isuzu NPR, NQR & NRR.